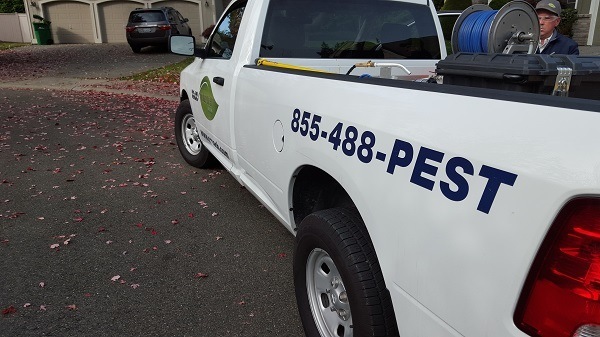 Croach® provides excellent pest control for Gresham, Oregon residents. Our customized service plans are designed to rid your home of spiders, wasps, ants, rodents and other annoying pests. Our licensed technicians and customer service staff are here to ensure your satisfaction. Our services and protection plans provide you with the best solutions for your home and family. Protecting your family from the health issues and property damages caused by cockroaches, spiders, and rodents are our top priority. Initial inspection. We inspect in and around your home to identify existing pest activity and potential hot spots for future infestations. Inside treatment. Our interior treatment flushes pests out of your home and prevents others from getting in. De-webbing and wasp nest removal. Croach® Gresham, OR pest control licensed technicians will thoroughly inspect your home and the surrounding property, removing spider webs and wasp nests. Exterior treatment. We apply a liquid barrier against pests at entry points of your exterior, including eaves, windows, doors, and the foundation. Granulation. Another layer of protection to keep potential pests from nesting around your home. We pride ourselves on offering the most complete and efficient pest control services available. Your satisfaction is our goal. Our technicians undergo ongoing training and regular performance reviews to ensure consistent and first-rate service to you. We aim to be known as the best pest control company in the industry. You receive a customized pest control strategy to meet your immediate needs. We use hi-tech solutions to save you time and money, ridding you of spiders, wasps, ants and other pests that are disrupting your life. Our flexible ongoing maintenance schedule prevents future pest intrusions. Croach® will re-treat your home if problems arise between scheduled service visits, at no charge to you. The safety of your home, family, and pets is our top priority. Pest infestations can have a huge financial and health impact. Partner with us and let us get you back to a pest free home. "Prompt and courteous service, rescue visits if a stray spider would show up, and removal of webs. Plus, there is NO chemical smell from the products that are used. Yay for everything!" "Very courteous and professional. They eliminated several problems so we look forward to them coming back to help maintain insect and critter control." "They are professional, courteous and respectful when coming to your home and they do an outstanding job." "I am very impressed with my tech, tell his manager he’s awesome." We serve the Gresham area including Beaverton, Longview, Ridgefield, Vancouver, Portland, Happy Valley, Hillsboro, Forrest Grove, Tigard, Tualatin, Salem, Albany, Corvallis, Camas, Newport and King City. Call Croach® today at (503) 430-5974 or schedule your consultation online for Gresham, OR Pest Control services.